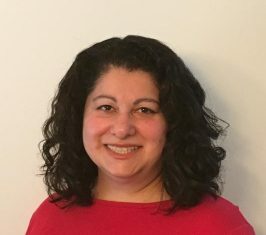 Tissa Hami is a Senior Consultant at IBIS Consulting Group, where she works with clients on creative ideas to advance Diversity & Inclusion in their organizations. For 12 years she traveled the country as a stand-up comic and speaker, focusing her act on her experiences as an Iranian/Muslim immigrant in America. Motivated by the desire to increase equity, inclusion, and visibility for underrepresented minorities, she tackled difficult topics with humor and made her audiences think as well as laugh. She has been featured in media worldwide including ABC’s The View, Dateline Australia, the BBC, and NPR. Tissa’s past experience includes eight years in higher education administration at Harvard University and UCSF, as well as three years on Wall Street. Tissa received a BA in International Relations from Brown University, a Master of International Affairs from Columbia University, and a Diplome from the Institut d’Etudes Politiques de Paris. She serves as a Board Member for World of Change.